THE 1944 NORTH American B-25J “Miss Mitchell” will be featured at this year’s Ford Airport Day. KINGSFORD — The pristine “Miss Mitchell” will be the highlight of this year’s Ford Airport Day this weekend. 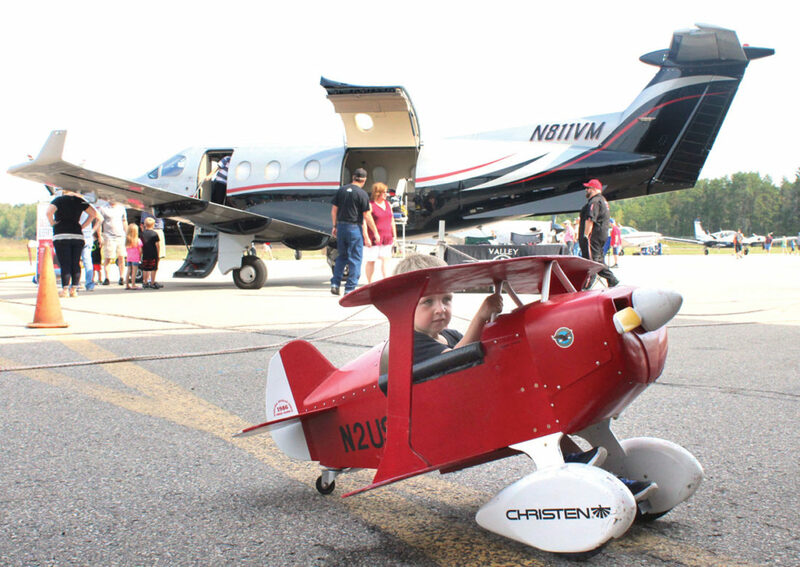 Ford Airport, Experimental Aircraft Association Chapter 439 and Kubick Aviation will host its 16th annual event from 8 a.m. to 4 p.m. Saturday at the Kingsford airport. 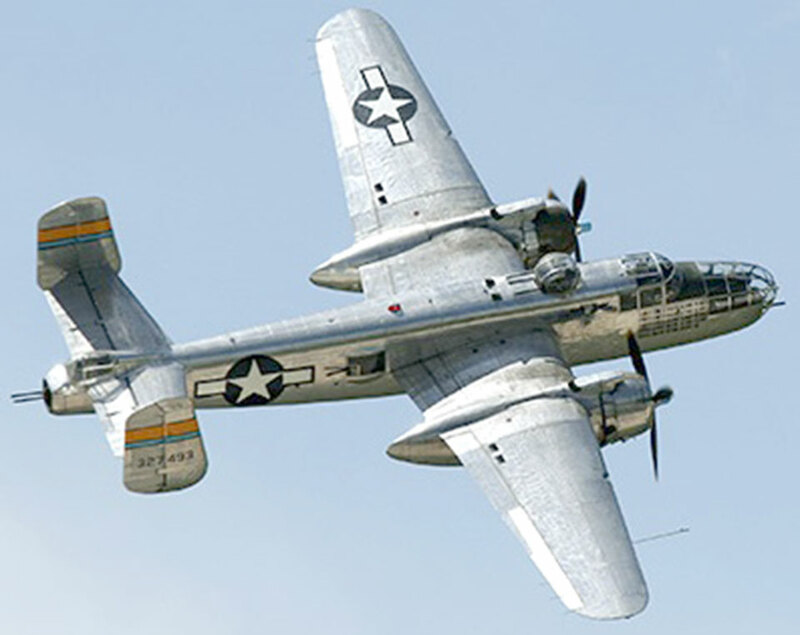 The 1944 North American B-25J Mitchell will arrive Friday for the veterans tribute program from 11 a.m. to 2 p.m. in the Dickinson County hangar at Ford Airport. Guest speaker will be James Brown, Dickinson County veterans affairs officer. Veterans also will be treated to a free lunch, as well as a tour of the B-25. “Those veterans who are physical able to climb inside the World War II bomber are welcome to see everything up close,” said Will Kroeger, EAA Chapter 439 member. The B-25 made its mark in the World War II history books when 16 of these medium-range bombers were launched from the deck of an aircraft carrier in the Pacific Ocean and bombed mainland Japan on April 18, 1942. 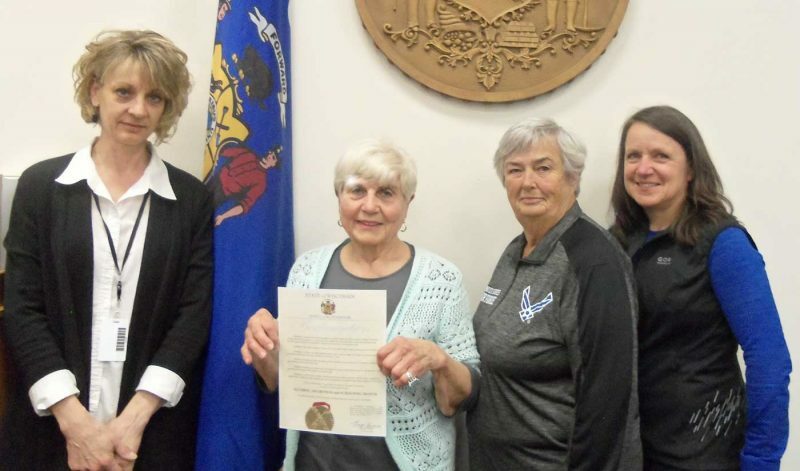 “The bomber was donated to the Minnesota Wing of the Commemorative Air Force,” Kroeger said. “It took 12 years of restoration and took its first flight on April 18, 1992” — exactly 50 years, to the day, after that raid, he noted. The Commemorative Air Force also will offer flights. Those interested can book a spot by calling 612-819-5740 or going online to www.cafmn.org/store/p10/B-25_History_Flight.html. But the event will have many other attractions and activities for the whole family Saturday. Numerous aircrafts will be on display for public viewing, including Tom Sullivan’s homebuilt Lancair plane; the TBM Avenger, one of the most famous aircraft of World War II; and a P-51 Mustang, a single-seat fighter bomber. 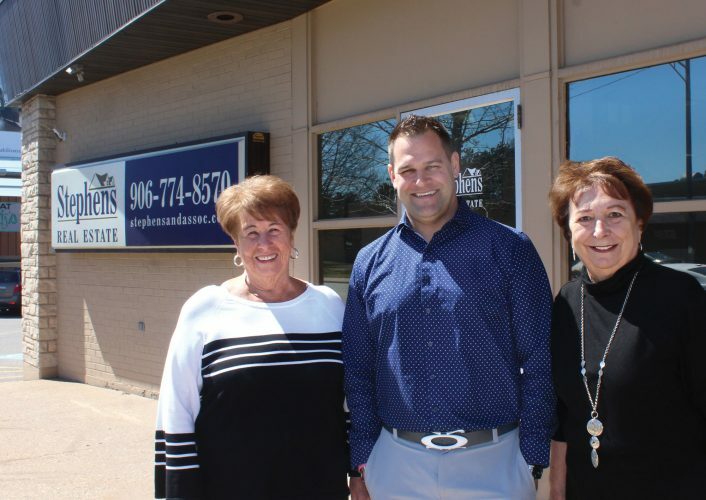 “Sullivan recently received a Lindy Award at the EAA AirVenture show in Oshkosh, Wis.,” Kroeger said. The Young Eagles will offer free flights by local and Marquette pilots from 9 a.m. to noon for ages 8 to 17. Guy Forstrom returns with his array of Ford memorabilia, along with artifacts from the Menominee Range Historical Foundation. Civil Air Patrol members will have a booth for those interested in getting involved in the CAP. Other displays will include the Dickinson County Pilots Association, and model airplane club. As in the past, there will also be a car show on the grounds with many classic makes and models. Children will again be able to enjoy the kids’ pedal airplane corral and the Snoopy flight simulator, where they can try to shoot down the Red Baron. A pancake breakfast will be served from 8 to 10 a.m., as well as lunch from 11:30 a.m. to 2 p.m. in the hanger. “Our goal is to introduce the community to aviation, especially to our young people,” Kroeger said. The EAA Chapter 439 is in the process of building a new hanger to open in 2020, which will be the home of the CAP. Admission is $5 per person, with no charge for children younger than 12. The maximum a family will pay is $15. This show would not be a success without sponsorships, Kroeger noted. Major sponsors include Bacco Construction and U.P. Truck Center; golden sponsors are Hall Orthodontics, ProTech Lube Center, CSA Air, Tourism Association of Dickinson County Area and MJ Electric. “The weather forecast looks perfect for a great turnout,” he said. For more information, contact Kroeger at 906-241-9070 or Sullivan at 906-458-6989.